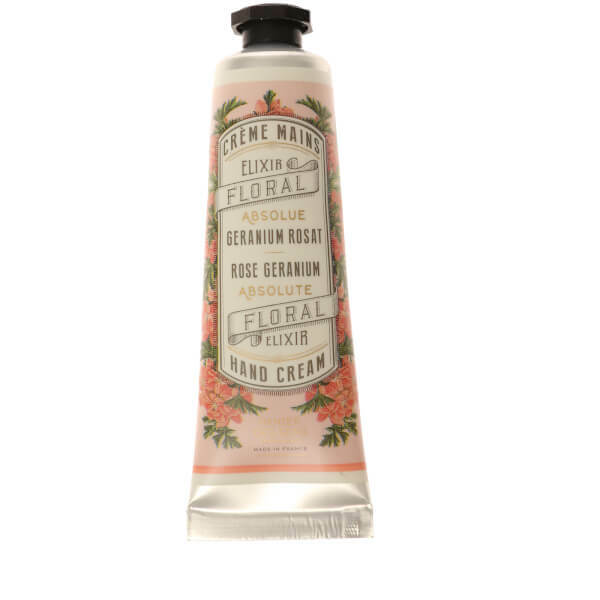 Replenish dry, hard-working hands with Panier des Sens The Absolutes Rose Geranium Hand Cream; a lightweight, quick-absorbing formula formulated with 96% natural origin ingredients. Enriched with deeply nourishing Olive Oil, the silky cream delivers long-lasting moisture and hydration, whilst imparting a delicate floral fragrance to rejuvenate the skin and senses. 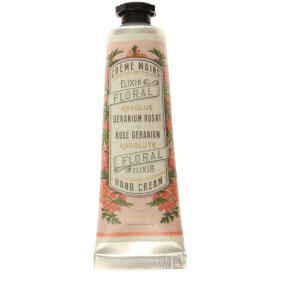 Expect soft, supple hands that feel conditioned and comfortable, without greasy residue. Housed in beautifully decorated packaging. Apply a small amount to clean, dry hands and massage until absorbed. (Water), Glycerin, Hydrogenated Starch Hydrolysate, Olea Europaea (Olive) Fruit Oil, Cetearyl Alcohol, Glyceryl Stearate, Dicaprylyl Ether, Cetyl Lactate, Peg-100 Stearate, Parfum (Fragrance), Pelargonium Graveolens Extract, Acrylates/C10-30 Alkyl Acrylate Crosspolymer, Prunus Amygdalus Dulcis (Sweet Almond) Oil, Levulinic Acid, Sodium Benzoate, Sodium Levulinate, Ammonium Acryloyldimethyltaurate/Vp Copolymer, Tocopheryl Acetate, Benzyl Salicylate, Sodium Hydroxide, Citronellol, Geraniol, Limonene, Linalool, Citric Acid, Alpha-Isomethyl Ionone, Tocopherol, Glycine Soja (Soybean) Oil.